Why do companies outsource? Many companies consider outsourcing to fill the gaps in their current expertise pool, to find a more cost-effective alternative to hiring in-house, and to free up their time to focus on the business’ core competencies. Let’s think about the marketing department specifically first. We could go for days adding to the list of what could fall into the marketing department’s bucket (and budget). Many times, we come across companies that are trying to put all of these responsibilities on one “unicorn” employee. The “unicorn” employee can do all of these tactically, think about them strategically, and manage all of the moving parts in unison. These unreasonable expectations result in burned out employees, disappointing lead quantity and quality, low-quality marketing collateral, and low revenue as a result of marketing. So what do you do? Outsource. That unicorn employee may be a jack of all trades and a master of none which leads to mediocre work that many companies will find acceptable, however, with a team of outsources experts, the results can be much more beneficial and effective at meeting Marketing goals and providing ROI. While the desired unicorn employee may know a little about each of the long list above, an outsourced marketing team provides you a team of experts. This means that you can have an expert who can deep dive into a specific area. You can have a writer, an editor, an SEO expert, a graphic designer, and a web designer all working on one piece of content instead of trying to find one person to do all of these functions. 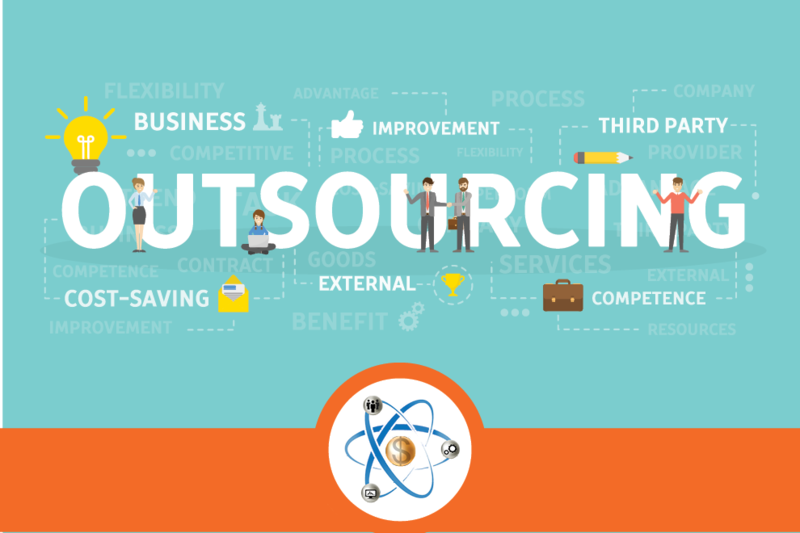 Is Outsourcing the Marketing Team Right for You? Instead of funding a yearly salary for employees, many outsourced marketing teams are implemented on an “as needed” basis. Instead your funds are put towards specific tasks that play into a larger strategy that is developed and in turn, end up costing your organization less than the salaries of a full in-house marketing team. Due to the difficulty of finding the effective unicorn employee that can make all marketing efforts work; outsourced Marketing teams provide you with an expert in all fields of marketing that can work together with their specialties to provide high-value marketing materials and efforts. Management teams often find themselves caught up in overseeing marketing efforts by their marketing team and not focusing on the competencies that will provide greater future growth for an organization. By outsourcing, management knows they have experts on the projects and therefore don’t need to interact with marketing, except to review and approve final marketing products. When you choose to outsource your marketing efforts, your company shifts certain responsibilities to the outsourced team. Since the outsourced team is filled with individual specialists, they are able to plan your risk-mitigating factors better. This can be difficult for many companies to get used to. Instead of having their hand in the entire processes of marketing, those processes are now determined and managed by the outsourced team. This transition can be difficult for companies to adjust to when they are used to full control. Depending on your company, marketing may deal with a lot of confidential data they don’t want to share with outside sources. This can include sales data, product information, ROI figures and more. Outsourced marketing doesn’t typically have direct access to the client’s customers, so outsourced teams can sometimes struggle to understand the customer and focus marketing efforts on the customer needs. Outsourced marketing can lead to some hidden costs that aren’t always expected by companies. These costs can include management costs, coordination with contractors, change orders when the scope of a project needs to expand, and more. Outsourcing your marketing team can provide your company with a team of experts in all roles of marketing. However, this means that your company will lose some control over processes and information shared. If you’re unsure if an outsourced marketing team would benefit your company, feel free to reach out to Atomic Revenue to meet with us and find out if we can be the right fit for your company through our Human Capital Solutions and accelerate your revenue growth and validate your marketing efforts. What Happens in a Collaboratorium?